As a young father, vacations generally meant going to places like Disneyland or to resorts with a pool and kid-friendly activities. Once I became an empty nester, vacation destinations changed. National Parks were the place to visit. My first one was to Acadia National Park in Maine; and over a number of years, my wife and I visited many in the United States and Canada. Instead of going somewhere to be amused, we traveled far to contemplate and appreciate the beautiful world that God has given us. Spending time hiking, surveying breathtaking lookout points, and listening to the sounds of nature were rejuvenating. Which is why I greatly enjoyed a recent viewing of the Western classic, Jeremiah Johnson. This thirst to see all of God’s resplendent world is a Jewish sensibility. The Talmud (Yerushalmi Tractate Kiddushin) explains that in the future God will hold us responsible if we do not enjoy the beautiful things He created in this world. It is a good thing to go out and see the trees, the mountains, the rivers, lakes and oceans. Seeing them reinforces our belief and appreciation for God who created all of it. However, there is a dark side to being a mountain man. “Do not separate from the community,” say our Sages. Jeremiah learns that a life of isolation can be dangerous and unforgiving, and that there is a price to pay for solitude. For example, he has no back-up when things go awry. One incident, in particular, brings this lesson home. Having married an Indian woman and found a modicum of happiness in the wilderness, he is asked by the U.S. Calvary to lead a search party to bring food to a stranded wagon train. He is not anxious to leave his family, but he reluctantly agrees and leads them to the wagon train. Inwardly, however, he is agitated that the route takes him through a sacred Indian burial ground. The scene of traversing the burial ground is one that encapsulates both the allure and danger of nature. It is a grey day, snowing gently but relentlessly as the soldiers pass by skeletons of dead Indians, foreshadowing a tragedy that is to come. It is an image of both beauty and dread. Left alone in a vast wilderness with savages all around, Jeremiah is forced to defend himself on countless occasions in order to survive. The Hobbesian notion that life is nasty, brutish, and short finds expression in the harsh life of Jeremiah Johnson. But in spite of it all, he emerges not as a bitter or angry person, but as one content with his lot, understanding that life is filled with contradictions, with happiness and sadness, with beauty and ugliness. It is a mature sensibility, worthy of emulation. 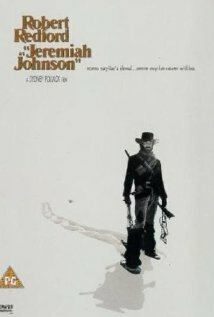 There is much to admire in Jeremiah Johnson. He is a man of few words, of deep feelings, of personal integrity, who, through age and experience, appreciates and values the beautiful world before him. Posted in Action/Adventure, Drama, Family friendly, Movie review, Westerns. Bookmark the permalink. My father, of blessed memory, was not a frivolous person. He came to America as a young teen fleeing the pogroms of Russia in the early 1900s. He enlisted in the Navy and served honorably. He married relatively late and I wasn’t born until he was over 40. He worked hard as a painting contractor, breathing in lead-based paint before OSHA was around; and he did not have time to play basketball with me. He was busy trying to earn a living. In spite of his burdensome job, there was lots of love in my home. My father spent time with me, counseled me, and set a good example of upright living. Honest and charitable to the core, he devoted his free time to synagogue service and to rearing a growing family. One of my favorite memories is going to the movies with him. My father rarely went, generally considering such pastimes a waste of time. But we did share an interest in westerns. Once in a very great while, I convinced him to come with me. I still remember the pleasure I had watching Gary Cooper in Springfield Rifle together with my Dad. I was reminded of this as I watched Wyatt Earp, a 3-hour long epic revisionist western about that great Western hero. My Dad would not have liked the sordid parts of the narrative and the foul language, but he would have admired the beauty of the vast open spaces and the action sequences. A subtext of the story is Wyatt’s relationship with his father, Nicholas Earp, who gives him critical pieces of advice along his life’s journey. It is notable that Nicholas Earp does not talk much; but when he does, people listen because they respect him and know that he loves them. Moreover, he gives advice to Wyatt at the right moment. Our Sages tell us we have an obligation to rebuke a child, but only when he is ready to listen. If he is not ready, then one should delay the rebuke. 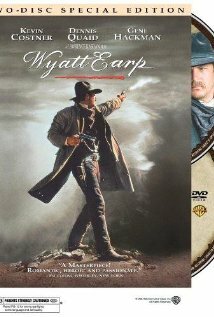 When Wyatt is still a teenager, his father informs him that there are many vicious people who do not obey the law and “when you find yourself in a fight with such viciousness, hit first, and when you do hit, hit to kill.” He gives Wyatt a basic primer on how to deal with bad people who break the law and hurt other people. Show no mercy. To be affable is to be weak in the face of evil. Later, when Wyatt’s beloved wife dies of typhoid, Wyatt, depressed and angry, immerses himself in drunkenness and theft. After landing in jail, his father comes to rescue him and pointedly tells him: “Do you think you are the first person to lose someone? That’s what life is all about. Loss. But we don’t use it as an excuse to destroy ourselves. We go on.” He imparts to Wyatt the life lesson that although life at times brings pain, life can still continue. Wyatt accepts these two pieces of advice, which guide him throughout his career as a successful lawman. The task of a father in Jewish law is to teach his child Torah, to teach him a livelihood, and to teach him to swim, which many commentators take to mean to swim through life. Parents are repositories of wisdom and life experience, and too often we don’t take advantage of this. Advice from a person with much life experience who loves you, and who is invested in your successful living is a treasure. Wyatt Earp reminds us of the supreme value of a parent’s counsel. Posted in Action/Adventure, Drama, Movie review, Westerns. Bookmark the permalink.